International calling to Mexico, China and Canada included at no extra charge. Upgrade or downgrade at anytime with no extra fees. The change is instant, and your remaining balance will roll over for the next 30 days. International calling to Mexico, China and Canada at no extra cost! Upgrade or downgrade anytime with no extra fees. The change is instant, and your remaining balance will roll over for the next 30 days. A Sprint MVNO is any wireless provider that doesn’t have its own wireless network or towers and instead uses Sprint’s network to provide you with cellular service. Without having to build and maintain its own cellular towers, a Sprint MVNO can save you a lot of money on your phone bill. In fact, a Sprint MVNO may even be able to cut your cell phone bill in half, if not more! I already know all of this! Take me to the Sprint MVNO List! You can think of Sprint MVNO’s as retailers and Sprint as being like both a wholesaler and product producer for the MVNO’s. Sprint MVNO’s typically buy talk, text, and data in bulk from Sprint. Each Sprint MVNO then resells the talk, text and data back to you, the consumer, at prices that the Sprint MVNO believes it can turn a profit with. The service is generally resold at a much cheaper rate compared to what Sprint would sell it for directly to consumers. Compared to AT&T, T-Mobile and Verizon, Sprint has the largest selection of MVNO partners. Having such a big selection of providers for you to choose from means that companies will compete hard among each other to try and win you over as a customer. Competition of course means cheaper prices for you! Competition has also led to some innovation in the industry as different companies have had to rethink the traditional cell phone service model to try and get your attention. Tello, and Ting for instance allow you to custom build your own cell phone plan. You don’t have to choose from pre-built plans like you would have to if you signed up with Sprint. Instead you get to pick the number of minutes that you want your plan to have, separate from the amount of text messages and data that you want the plan to have. You can even build a data only plan if you want! Republic Wireless is another MVNO that can be considered an innovator. The company’s cell phone service is actually available over Wi-Fi. In fact it is a Wi-Fi first MVNO. That means, whenever it’s available, your text messages and phone calls will be preferentially routed over Wi-Fi as opposed to Sprint’s cellular network. A big advantage here is that you’ll have service in places that other Sprint MVNO’s do not! Most Sprint MVNOs do not get to roam and use other network’s such as Verizon’s in areas where Sprint’s coverage is poor. However, Sprint postpaid customers do get to roam on those other networks for better coverage. 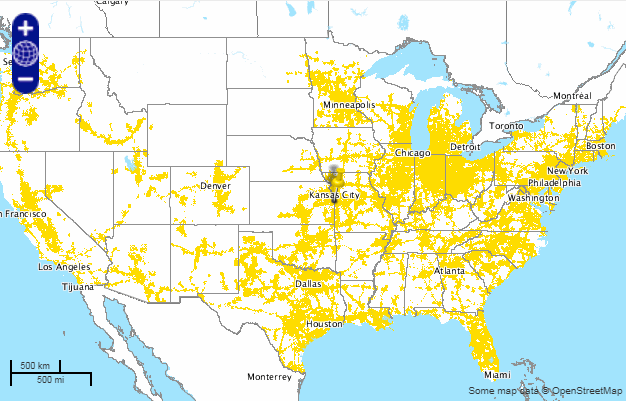 Sprint’s 4G LTE network is rather small, and most Sprint MVNO’s will get LTE coverage that corresponds with Sprint’s Prepaid LTE coverage map which is depicted below. Another con, and this is for MVNO’s in general not just for Sprint MVNO’s, is that service with an MVNO is prioritized below service directly obtained from the parent network. As an example, this means that if you are subscribed to a Sprint MVNO and Sprint’s network is busy, you may end up trying to send a text message that gets stuck in sending and won’t send until the network is less busy. Not everyone experiences something like this though. It all depends on where you live and the network’s capacity in your area. Customer support is neither a pro or a con. Some Sprint MVNO’s actually provide the same or better support than Sprint does for its customers, while others fair far worse. Sometimes an MVNO keeps a small customer support staff to cut down on costs which is one way that service can be made cheaper for you. It is a bit of a trade off. Not all Sprint MVNO’s sell phones. Quite a few are BYOD only. This is one area where Sprint MVNO’s and MVNO’s in general are weak. You don’t often see Sprint MVNO’s offer BOGO’s and other great deals that Sprint may offer for flagship phones. For those that are in the market for a new phone, more and more MVNO’s are at least beginning to offer device financing like their parent networks offer. Most Sprint MVNO’s allow you to bring your own phone to their virtual networks. Any out of contract Sprint phone that is in good standing, meaning it hasn’t been reported lost or stolen can be used. Unlocked CDMA compatible phones such as most Motorola devices can also be used. Sprint compatible phones must have support for LTE bands 25 (1900 MHz), 26 (850 MHz) and 41 (2500 MHz) to work. You can check online to see if your phone meets all of the requirements by doing what’s called an IMEI check. Sprint MVNO Tello will explain to you for free how to find your phones IMEI number. They will also do an instantaneous check on it to see if it is eligible for use with a Sprint MVNO or even Sprint. If you’re ready to begin your journey into the world of Sprint MVNO’s here is a list of providers that operate on the Sprint Network. Each provider listed above offers several different cell phone plans. I sorted through them and in the table below I picked out what I think is the best plan offered by each provider. In order to make it into the price comparison table, plans were picked that contained unlimited talk and text with at least 1 GB of 4G LTE data. An exception to this rule was made for Ting, which does not offer an unlimited talk or text option. Price includes unlimited international calling to over 70 countries. Includes 7-day risk-free trial. Money back with no questions asked, only for orders placed through the Gen Mobile website. Orders from authorized dealers may not come with a risk-free trial. Price shown with $5/month auto-pay billing discount applied. Video streams limited to 480p resolution or about 1.5 Mbps, music streams limited to 500 Kbps, and gaming limited to 2 Mbps. Data prioritization policy applied during times of heavy network congestion. Plan requires new line or service or port in, bring your own device or purchase of a phone at full retail price. Many options available. Build and customize your own plan with a la carte pricing. Cost for international calls varies by location. Unlimited International calling to over 70. Price shown is with auto pay billing enabled, price is $35 without auto pay billing. On the AT&T network, hotspot is available on Android but not on iOS devices. On the Verizon network, hotspot is only officially supported on iOS but not Android. Hotspot is supported on both Android and iOS devices if used on the Sprint or T-Mobile networks. Bonus! Buy the annual plan at Amazon and get 3 GB of data at an average cost of just $21.25/month! If used on the AT&T network voice is VoIP and requires the use of an app. If used on the Sprint network, no app is required and phone calls are not VoIP. Customers are billed at a rate of $10 per GB of data consumed for up to 6GB of data on a single line plan. After that, data is unlimited with no additional charges. Use over 15GB of data and speeds are slowed for the remainder of billing cycle. Any unused data that you have in your account at the end of a billing cycle gets fully refunded. International data add on available priced at $13/GB. International data speeds limited to 3G. Limited selection of Android phones available, limited support for BYOD. Mobile hotspot add-on available for $5/month for 1GB or $10/month for 2GB or $3/day for 500MB. When your high speed data runs out you get unlimited 2G data. Custom build your own plan and get more of what you like for less! All taxes and fees included in price shown. Extra data can be purchased with 90 day rollover. If used on the Verizon network, Boom! Mobile will include extended digital coverage. 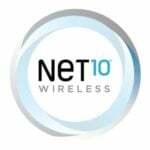 If used on the Verizon network, plans will include VoLTE HD Voice calling, and mobile hotspot. NEW! Use your gift card from Best Buy, Walmart, Amazon, Target and many more places to fund your Boom Mobile account and pay your bill! Price shown is with auto pay billing enabled, price is $45 without auto pay billing. Sorry. Here is the missing info from my previous comment: Go to thomasremely … stream … com, and click on Get Services. I use Stream. 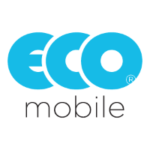 It’s BYOD or buy a phone through them. $35 for unlimited/unlimited/4GB. and click on Get Services. Some of the cheapest plans listed have no Phone customer service if you have a problem. Everythng is done text style and can be a pain, I had problems with Freedom Pop and after 2 days of trying to get them to understand the problem I dropped them and went to Ting. Ting has some of the best customer service I have ever talked to , short hold times and they really seem to want to keep you as a client. I was browsing the nocontract sub Reddit earlier and noticed someone mentioned tello. It has payg and build your own plan like ting. The best part is that it is cheaper than ting. I haven’t tried it out myself but it has great pricing for low data users. They mention it runs off the sprint network btw. Just a suggestion for the list. Thanks for the tip. I’ll take a look. I use freedompop now. and have been fine for a year. Starting 1 month ago. i was not able to make any phone calls. I can receive calls, but could not call out. I’ve been trying to have them fix this for two weeks now to no avail. So… when it works its great (cheap/free). when it’s not working you’ve better have another spare phone available, or you wil not be using a cell phone. Did you wipe data for their app? TPO (http://store.tpo.com) just launched few weeks ago as newest Sprint MVNO. Any thoughts of them? Thanks. That is a good price. I recommend everyone to check out eBay for phone deals. I’ve purchased myself or helped others purchase several phones that looked like new. I guess for the sake of not missing cincoming calls(?). YEP, that’s what they charge for “Tethering” of a phone/handset… unless you jailbreak an ios device and install “TetherMe”. By the way, I only paid $160 for the iPhone Five with 64 gigs of memory, looks like new, Go eBay!! I forgot all about Obihai. I even found that I already setup an account, now to figure out how to use it. Yeah, altering the codecs can make a huge difference in voice quality. I think there are a few other things you can change too that are on FreedomPops support page that I previously referenced. The battery drain problem was specific to the FreedomPop app. I used another app that detects what’s draining your battery and it showed FreedomPops app was constantly pinging the network and not letting the phone go to sleep. Thanks. I did download that app on Android, and so yes that must be where the 200 MB of data came from then. The Android version was stable when I was using it.